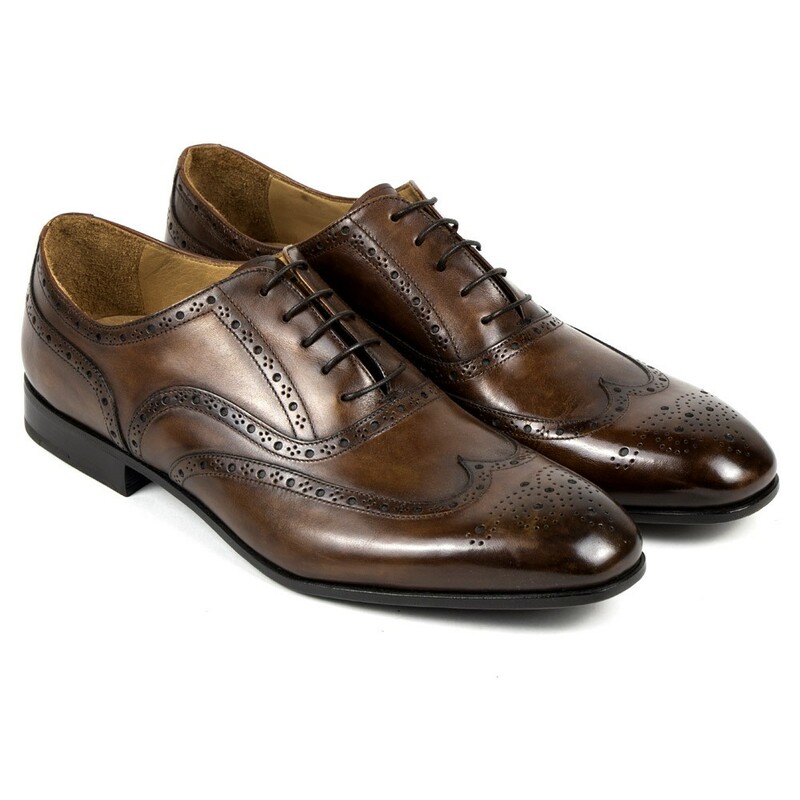 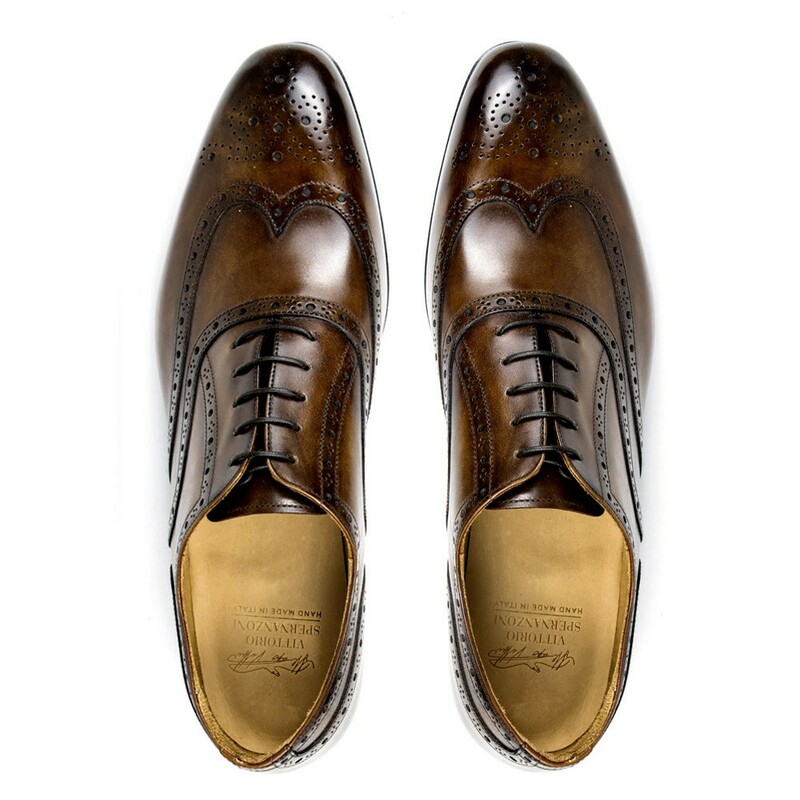 5-hole lace-up shoes are made of hand-coloured and hand-polished leather in chestnut colour. 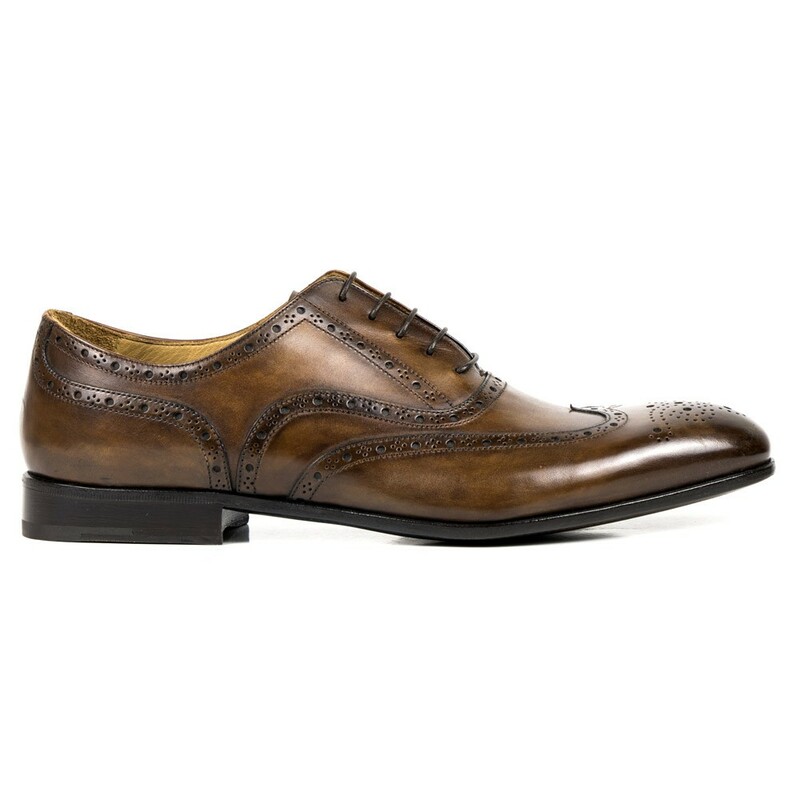 The design keeps the shoes timelessly classic thanks to the craftsmanship and the floral punched decoration on the tip and the upper. 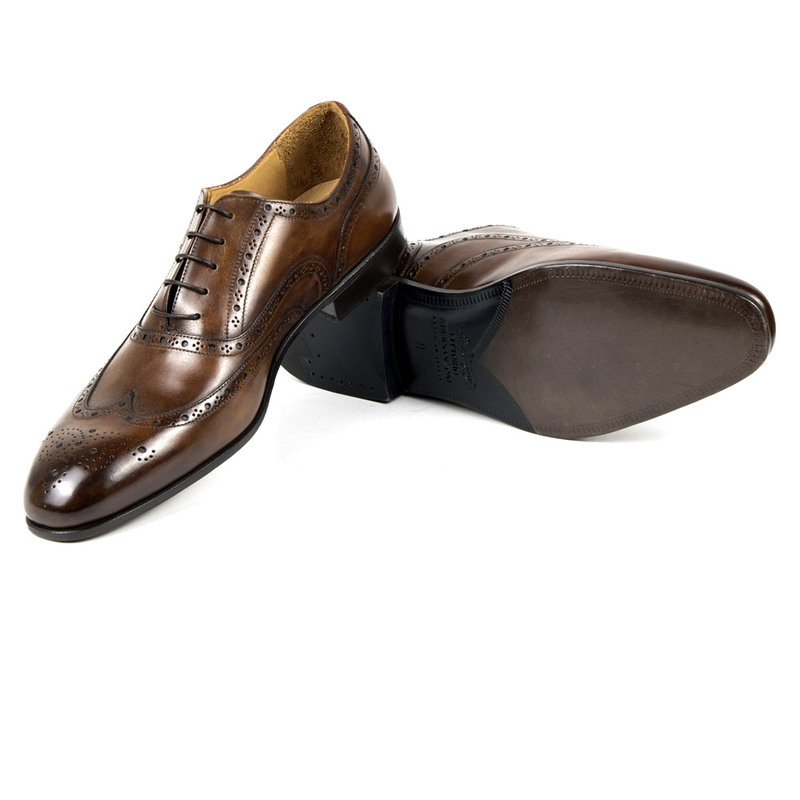 Leather sole constructed by Blake technique.